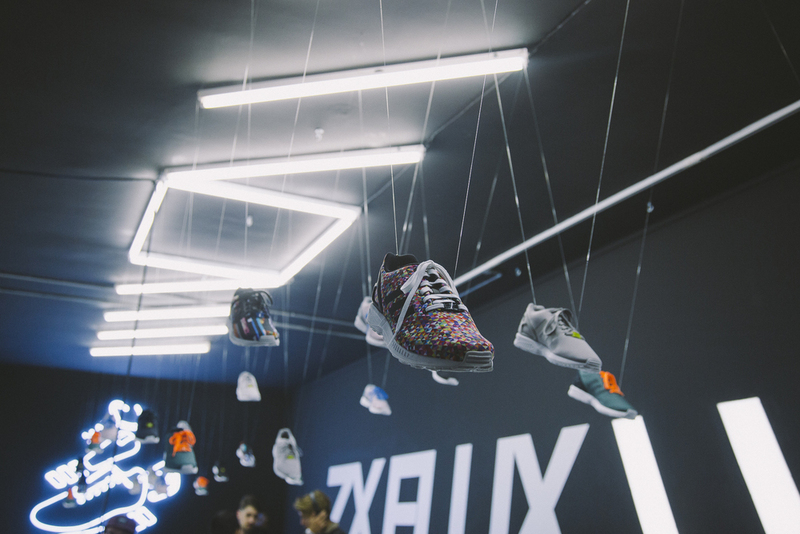 adidas Originals’ biggest product story of 2014, ZX Flux, had a global launch campaign that ran from April to August. 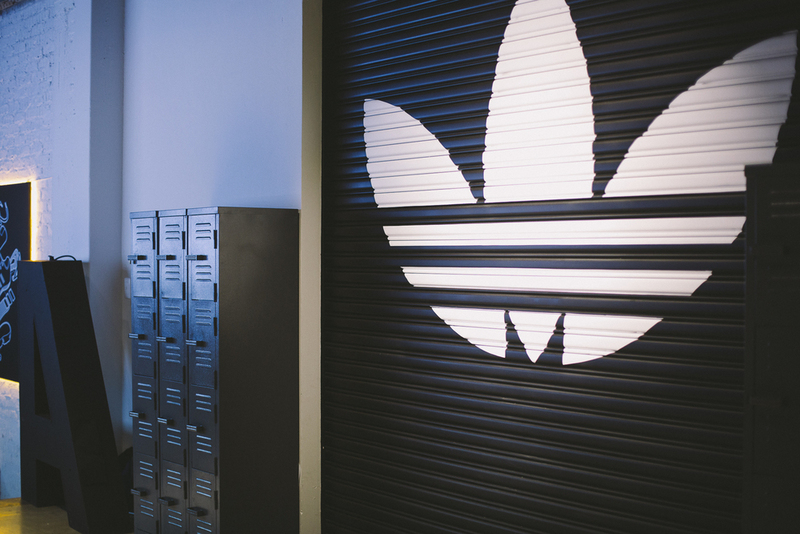 With the biggest selection of colour ways seen in years, adidas approached ANDPEOPLE to conceptualise and manage a locally relevant launch in AREA3 over these months. 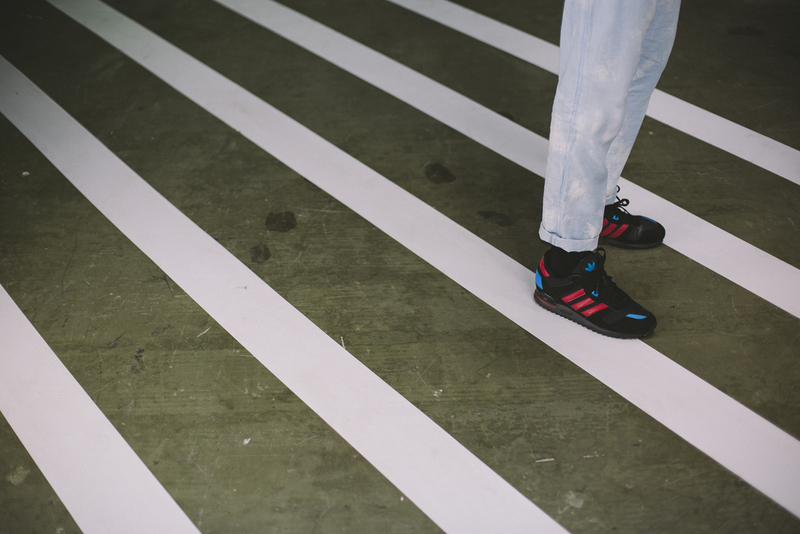 AREA3’s original 476sm home in the Maboneng Precinct already saw the space change from skate park, to a fashion runway and other experiences over the last year. 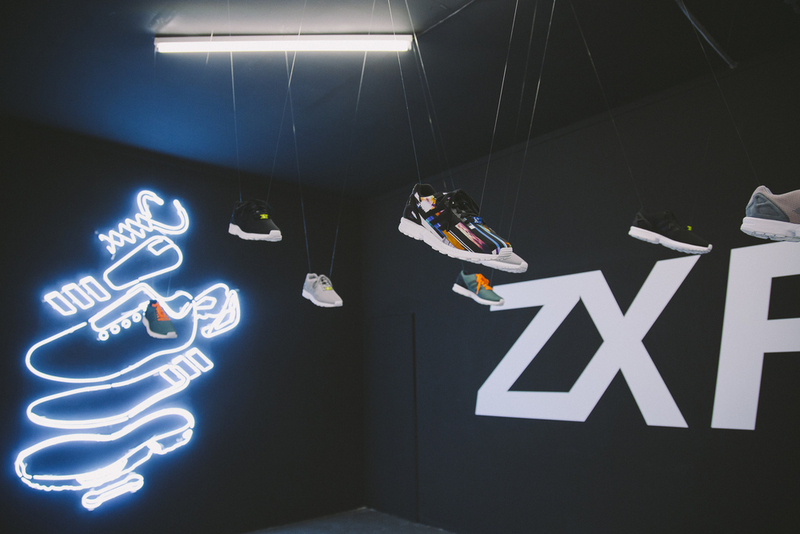 Working with the team and with the idea of challenging people’s experience of AREA3 previously, we created the perfect stage to showcase the product. Leading up design and art direction for ANDPEOPLE, I worked on transforming the massive white walled space into an explorative experience by conceptualising a floor plan designed to have it’s walls broken down at intervals to reveal new product capsules over the coming months. For this first phase reveal, an L-shaped black hallway was built to lead the audience through the space, while hero’ing the product as a centre piece. Working with this area in it’s entirety, I designed custom branding, graphic cues and lighting to fit the space from ceiling to wall to floor as a way to help tell the story as people made their way through the venue.